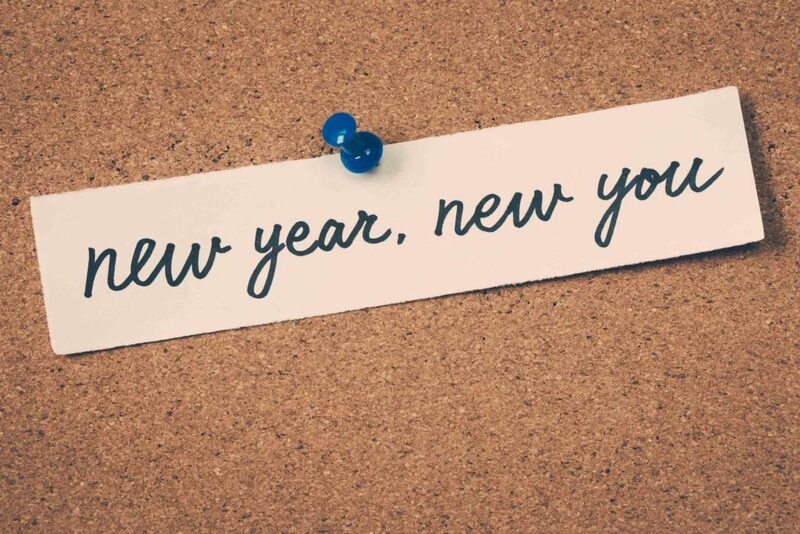 This is the time for diets, exercise and creating a new you in 2019! I would like to suggest to you that we leave that hyped up energy aside and choose a more realistic mindset that sets us up for success not only in 2019 but more importantly for the rest of our lives. What I am talking about here is a shift that comes from the inside out versus the rearranging of outside appearances, which is void of the inner grounding that really makes any lasting change possible. For years I was someone who made New Year’s resolutions and had the usual plans for weight loss, exercising and other miraculous transformations that I would somehow seize this time around even though they had eluded me in previous years. But the common denominator was that I was the same. Why would the changes stick this time around when fundamentally nothing had changed? I still viewed life as something that I could finally get into the groove of once my weight, relationships, and laundry list of other issues were solved. Then I could really get serious and start having a more elevated existence. I just had to get my life in order and then it would all work out. Well let me tell you how that plan went. Not very well. It is called the hamster wheel of suffering. Nothing changed because I was waiting on the outside circumstances to dictate when I could finally be whole, at peace and ready to live life. As though all the rest of the time I wasn’t truly living life but was somehow practicing for the big grand moment when life would finally start. Here is the sobering news. Your life is right now. Not when your 50 pounds lighter or you get the dream job, or find the perfect soul mate. Your life is here right now, with the extra weight, the family drama and the job you can’t stand. We don’t start living life once things fall into place. By romanticizing that life and our true happiness starts after we have reached and achieved any particular goal, we just guarantee that we will miss out on what is right in front of us in the here and now. So in application of that idea, here is what I did this year. In November I decided to make a major change to my eating habits. I purposefully did this during the holiday season instead of waiting for January 1st. This was important for me because I have known for years that certain foods do not agree with me and yet I keep trying to eat them in moderate quantities….which has NEVER worked for me. I decided that if I really wanted change, I had to be willing to do something different. I made a decision that was a shift in identity versus a temporary diet plan. Similar to when I became vegetarian, I shifted my identity to define myself as someone who didn’t eat meat. I never say, “Oh l would love some of that meat, but I can’t eat it on my diet.” This is an important distinction because in one scenario we are lamenting what we can’t have and in another we have made the journey without distance from our head to our heart where we have changed the way we see and define ourselves. I am using the example of food simply because this was a personal area that has been a source of pain and burden for me. But this is true regardless of the area. Most of us know what we need to do to make our life work. The problem isn’t usually that we don’t know what needs to be done. The problem is our resistance to doing it. There is some area in your life where you know you would be served by changing your identity. By becoming a person who just doesn’t do X anymore or who does Y now instead. Make a decision and choose a path, because the saddest place to reside is in that familiar old place where we just keep trying the same thing over and over again and getting the same results. So here’s to real lasting change in 2019. The kind that sticks, the kind that will start a domino effect of blessings in our lives. As we say goodbye to habits that no longer serve us, we will make room for a new level of authenticity that has been there waiting to emerge.